Cheering from the stands will get a bit more stylish if fashion’s brightest have their way with fan-girl wares. At Dolce & Gabbana, sliced-and-diced sports jerseys are stitched into a sportif sweatshirt and skirt combo—so apropos for the sports groupie split between team loyalties. Gucci paid homage to Major League Baseball with suits brandishing a cross between New York Mets and Yankees logos. 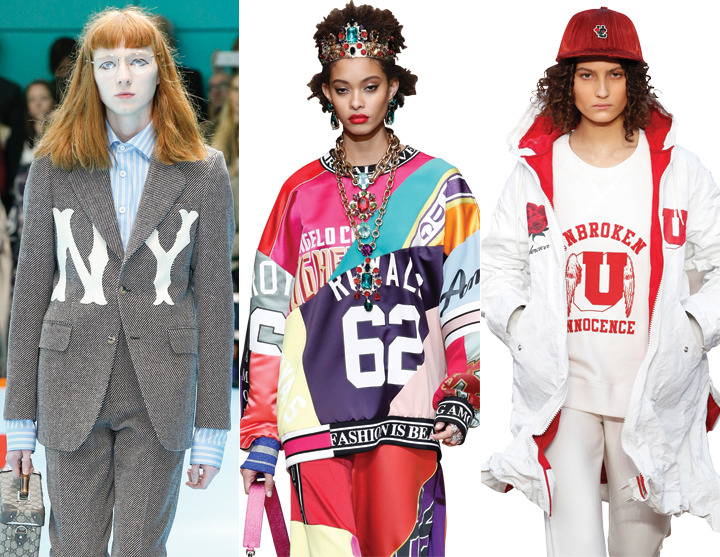 Elsewhere, fashion houses gave themselves their own team captain-approved insignias: Undercover added a set of wings to its university “U” while Antonio Marras stitched a lettermanlike “A” and “M” on a quilted sweatshirt. No matter the sport your client cheers for, nail art provides a fun way to show team spirit. 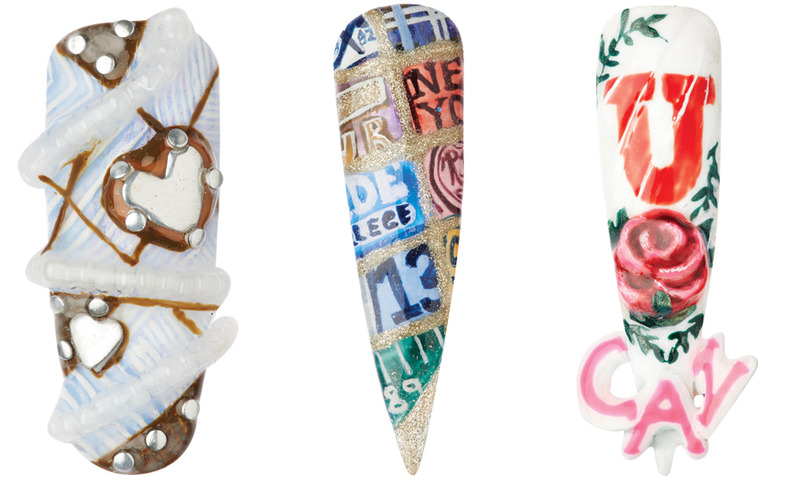 Guest artist Kelly Ornstein builds upon the fan-girl vibe with hand-crafted 3-D details, and even suggests incorporating your client’s own school legacy into her team- inspired nail art, like she did for her Dolce & Gabbana-inspired nail. 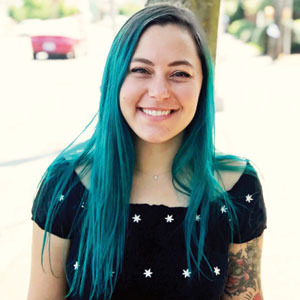 Guest Artist: Kelly Ornstein is a New York-born nail technician and artist living in Seattle, who specializes in hand-painted maximalist designs.